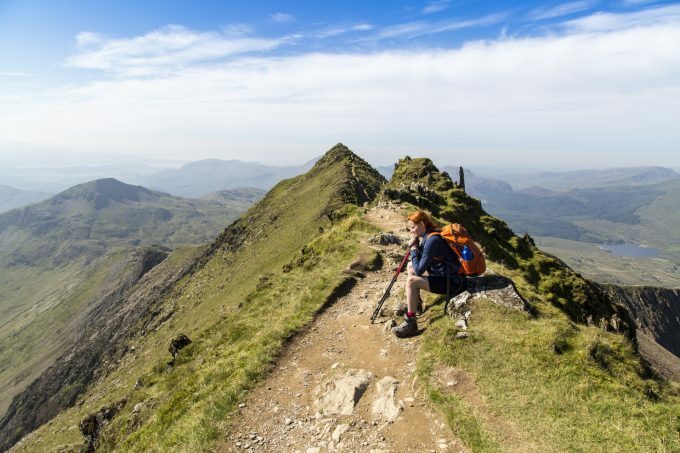 A hiking first aid kit is essential to your enjoyment, and survival when you hit the trails. 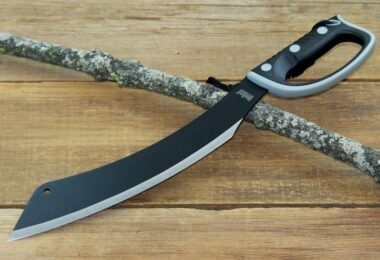 There are so many different and wonderful places to explore but you don’t want to get caught out there in the wilderness without the necessary tools to handle a medical emergency. It is easy to purchase a pre-packaged first aid kit at your local pharmacy, but if you are hiking more than a few times a month you may want to consider building a more complete kit yourself. It isn’t that the store-bought kits aren’t good, but you will find that there are some ingredients you can add to a homemade first aid kit that the stores would never think of because they simply don’t have your type of trail in mind. Everyone’s first aid kit will differ depending on their medical conditions and needs. However, here are the most common (and most necessary) pieces you need in a hiking first aid kit. Be sure to add them to your survival kit as a foundation. Tweezers. If you get stung by a bee, hit in the face with a tree branch or anything foreign gets stuck under your skin you will need a strong pair of these. Multi-Purpose Tool. If you have to administer first aid to yourself or a member of your hiking party you will need to have a multi-purpose tool on hand. 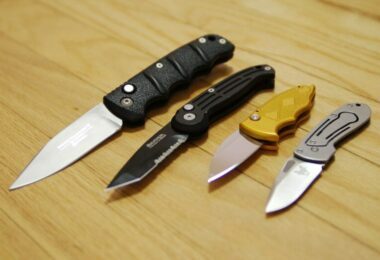 A basic Swiss Army Knife should suffice as it will include everything you need to cut dressings, prepare a bandage or splint, etc. Irrigation Syringe. A 35 cc syringe should be large enough for wound cleaning. Additionally, you may want to consider purchasing a suction syringe as well, to clear out the mouth before performing CPR. Safety Pins. These are great for just about everything. Don’t hit the trail without a few different sizes of these great multi-purpose fasteners. Bandages. 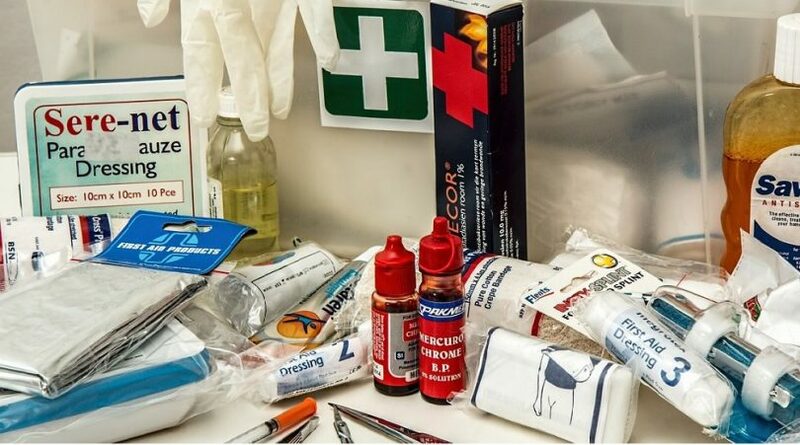 You need to have a variety of bandages in your kit that will be there incase of many different types of wounds. Include small Band-Aids, larger gauze pads, and of course butterfly bandages incase you have a large, open would out there in the wilderness. Medical Tape. In the event that you need to splint a broken limb, or create a large bandage you will need to secure it around the area with sturdy medical tape. Electrolyte Powder. The human body can only go between 8 and 10 days without water. In the even that you get stuck out in the wild without supplies, you may not survive. Always keep a pack of electrolyte powder in your first aid kit. It will help maintain essential minerals in the body to help stave of dehydration. CPR & First Aid Guide. Hikers travel in packs. If you are going out with a friend, or a group it is easy to print out a simple CPR & first aid guide. Just find one online and print it out to have in your first aid kit. These types of guides include vital information that may save the life of a hiker in your group. Just be sure to choose one from a reliable source like the American Red Cross. Eye Wash. Your eyes are very sensitive and can easily get in harms way. Protect them with UVA/UVB protective eyewear and always keep an eye wash in your first aid kit. Oftentimes, you can avert long-term damage by rinsing your eyes with a dependable wash. Prescription Medications. If you currently are taking a prescription medication, you need to remember to pack a few of those pills in your first aid kit. You never know when you might need them and it’s always better to be safe than sorry. Magnifying Glass and/or Mirror. Ideal for starting a fire and signaling for help as long as the sun is shining. Paper & Pencil. If there is an accident out on the trail, you may want to write down a few details about what happened to review later. Always keep a small pad of paper and a pencil in your first aid kit. Pencils are superior to pens because temperature and other elements can affect how well they work. Pack a lotto pencil and a small pad to document any injuries, medicines administered, pulse, time and the date of accident. Organizational Tools. All of the items in your first aid kit are important but it is also important that you protect what is inside with waterproof packaging. Pick up a few locking plastic baggies to house and organize the contents of your kit. Adding labels to the baggies is also helpful so that you can find the things you need in a hurry, and under the influence of an adrenalin rush if necessary. Here’s our article on DIY first aid kits that you can customize according to your needs, check it out. 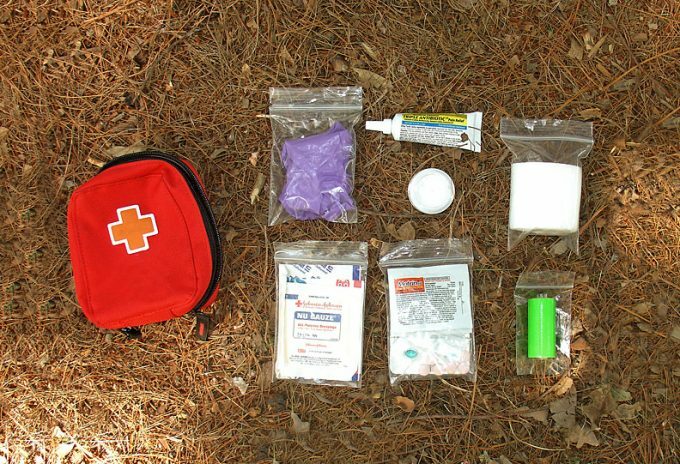 If you are out in the wilderness hiking, you should always have a first aid kit with you. There are no exceptions to this rule. However, life HAPPENS. And when it does, you do not want to be unprepared. In case of emergency when you don’t have a first aid kit available you can count on the power of plants to take care of your off-the-grid medicinal needs. It’s true! We recommend that you pick up a book that details the medicinal plants of the world, or a book of plants that highlights the native species in your area. It is invaluable to know which plants in your natural environment can slow bleeding, disinfect a wound, or relieve venomous bites from critters you may encounter. Lady Ferns. These beautiful plants are native to the Pacific Northwest and grow like weeds. The tips are delicate and easy to crush between your fingertips. 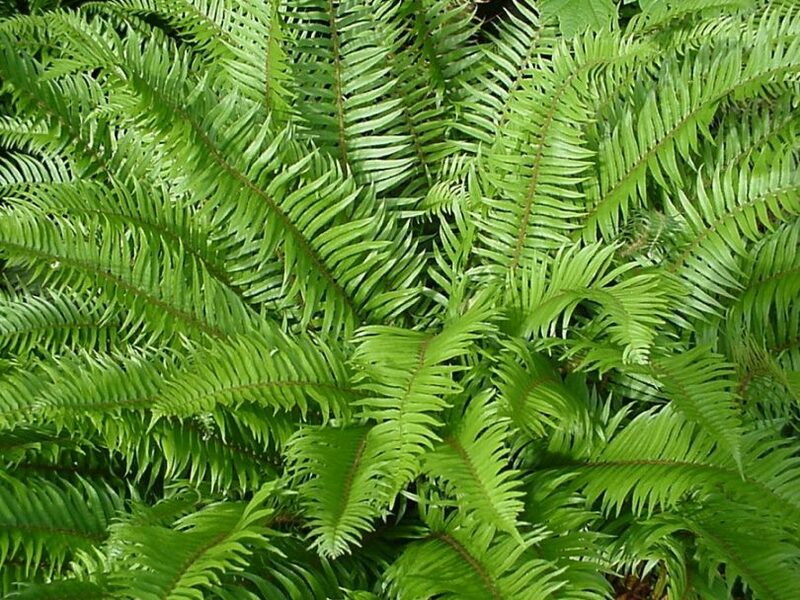 The juice ferns release ease burns, bee stings, and minor cuts. Mint. There are many different types of mint including spearmint, peppermint, apple mint, Korean mint (hyssop), and more. This plant is usually found around running water and offers many different medicinal properties due to the compound found in the leaves of mint called menthol. This plant is a very effective disinfectant and can be chewed to relieve stomach upset, reduce anxiety and boost energy levels. Also known for reducing headaches. Blackberries. These bushes can usually be found near water sources and have many powerful medicinal uses. The berries themselves are highly nutritious and contain a wide range of vitamins and immune-busting antioxidants, but if you are really in a pinch the roots of the plants, stems and leaves can also be used for healing. Native Americans have been using the leaves and roots for centuries to calm symptoms of stomach upset especially diarrhea. Also commonly used to clean wounds due to its astringent properties. Ideal for treating cuts. NOTE: When it comes to mint there are varieties that are poisonous. Avoid pennyroyal, as it is one of those types. Burdock. This prickly plant grows in many parts of the world. You will recognize it by its large leaves and thistle-like appearance. While the purple burs can be a barrier to picking, this plant is a highly effective anti-itch remedy for poison oak and ivy. Birch. The leaves of this distinctive tree contain an analgesic compound similar to cortisone. This compound is great for reducing pain of venomous bits from insects or reptiles. This plant is a wonderful natural pain reliever that grows in many wilderness areas. The leaves and bark sap also provide natural anti-spasmodic, analgesic, astringent, antifungal, and diuretic medicinal properties. Essential oils are the volatile chemical compounds found in plant materials including leaves, stems and sap. These compounds are usually extracted by steam or distillation, however they can also be extracted (in very small amounts) directly from plant materials by simply pinching the leaves, boiling the sap in water or breaking stems and twigs. When you are out on a trail, if you are able to distinguish medicinal plants in your area from toxic plants, you will always have medicine on hand for first aid emergencies. Which Essential Oils Should I Keep in My First Aid Kit? 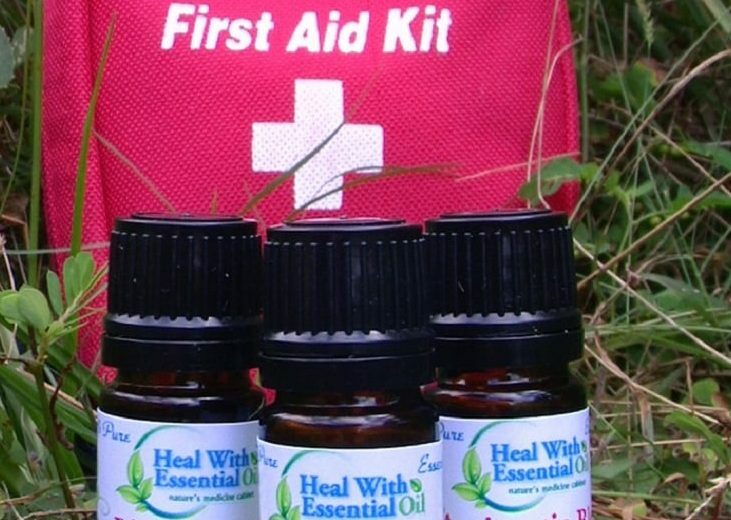 Essential oils are first aid kit must-haves! They are able to treat a wide range of ailments and most of them smell good too. For Cuts & Wounds: One thing you can count on when you are out on a hiking trail is that you will get minor cuts, abrasions and wounds. Here are the best essential oils for treating wounds: clove, myrrh, lavender, tea tree, oregano, thyme and elemi. For Bee Stings & Bug Bites: Creepy crawling critters on your favorite hiking trails don’t hold back, so why should you? Be prepared and pack these essential oils for stings and bug bites: peppermint, wintergreen, sage, fennel, cinnamon, bergamot and rose. Echinacea is most notably used as a natural snake anti-venom. For bee stings, take a look at our article regarding bee sting remedy for your information. For Aches & Pains: When your muscles start aching or your head is pounding out on the trail, reach for these pain-relieving essential oils: spruce, palo santo, clove, cinnamon, calendula and peppermint. For Stomach Upset: There is nothing worse than a troubled tummy when you are on a long hike. Avoid any stomach upset with these essential oils: ginger, nutmeg, tarragon, yarrow, and patchouli. For Insect Repellants: Don’t let flying or crawling insects spoil your good time out in nature. Add these essential oils that work as insect repellants to your first aid kit: citronella, clove, lemongrass, rosemary, tea tree, cajeput, eucalyptus, cedar, catnip, lavender, and mint. Check out our piece on homemade mosquito repellents – it’s a great read. For Allergies: When you are out on a long trail in a place not-so-close to home, you may encounter substances that are foreign to your body. In this case, you will need a reliable anti-histamine to stop any allergy symptoms that can slow you down or disturb your experience on the trail. Add these anti-histamine essential oils to your kit, today: eyebright, gingko, stinging nettle, jewel weed, and elderberry. Natural items are always the best. As alternatives to over-the-counter (OTC) synthetic remedies, try these natural first aid must-haves! Activated Charcoal Tablets. 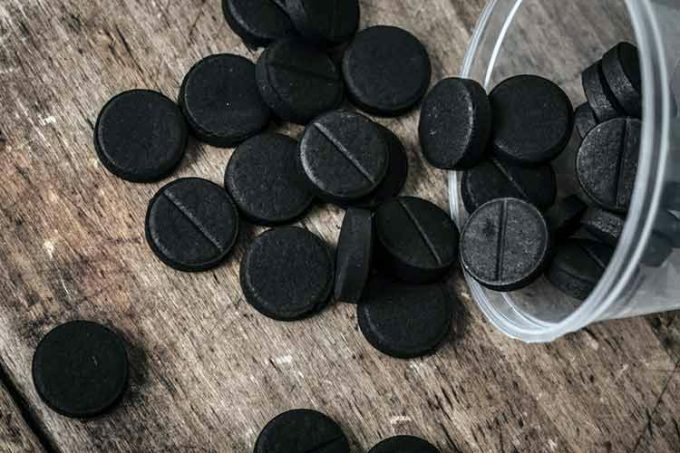 Incase of accidental ingestion of the wrong type of plant, toxic water, or a snakebite – it’s activated charcoal to the rescue! This natural compound is able to remove toxins from the body, and fast – within 24 hours! You can find them at most health food stores and at a very low price point. Keep a few tablets in your kit so you won’t have to worry about venomous creatures. Tablets can be consumed internally as well as applied topically to the affected area immediately after a bite for quick relief. NOTE: Activated charcoal tablets can also be used as water filters if you do not have access to clean water. Bentonite Clay. This natural detoxifier works wonders for many different ailments. Stash a small amount of the powder in your first aid kit to heal wounds and remove toxins. Once re-hydrated, you can apply the paste to cuts, scrapes, bruises, rashes, burns, bug bites and stings, rashes, blisters and poison ivy. If you ingest any toxins, you can also mix a small amount of the clay in water and take it orally to avoid any potential risk associated with consuming plants you found in nature. Arnica. This natural remedy is able to relieve pain, reduce bruising, sprains and strains, ease swelling and speed the recovery for a variety of injuries. Always keep arnica in your first aid kit. You can pick up tablets, oils or tinctures. Shepard’s Purse. If you can find a small tincture of this plant-based liquid – grab one! Keep it in your first aid kit at all times for staunching bleeding. It works both internally and externally to stop bleeding of wounds. Hikers know that when they head out on a trail, whether it is just a day hike or a longer trip that they need to pack survival essentials. If you haven’t purchased a first aid kit for yourself, and/or your hiking party yet, we encourage you to do so – today! Even the most experienced hikers and backpackers prepare themselves for the unexpected with a wilderness first aid course. There are many different wilderness preparedness courses available, including CPR training and first aid basics. If you have already taken those training classes, you can also consider a more advanced mountaineering course. For more hiking tips and guidelines when you hit the trail, see our previous article dealing with this topic. Ultralight Backpacking Gear List: Keeping it Light! Rebecca lives in USA, but loves hiking all over the world. Her favourite is Everest Base Camp Trek in Nepal. 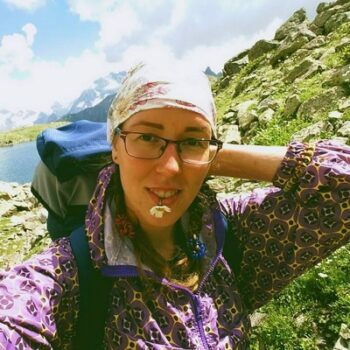 It usually takes 16 days, but she likes to slow down, enjoy mountains, company of other adventurers and take more pictures, so it took her 28 days last time. Another passion of Rebecca is ocean, so all short and long hikes along the ocean shore bring a lot of joy.